When it’s hot out, it can be tough to keep your dog’s water bowl fresh and cool without refilling it 9 billion times per day. We’ve got you covered for a couple fun ways to keep the water cool and entice your dog to drink more. Ok, you guys, I know that the half the interwebs and most of Facebook has their tail in a bunch about how dangerous ice can be for your dog. People way smarter than me, like for example, Jen at My Brown Newfies who has a background in veterinary care, have written about the issue and dispelled it as a myth. (Read Jen’s full post here.) I like to use ice to keep my dog’s water bowl cold longer. Ice cubes are all well and good, but I find they melt away quickly. One of my favourite tricks is to create an “ice bowl”. Since this is a much larger chunk of ice, it melts slower, keeping your dog’s water bowl cold longer. Get two metal bowls on different sizes (I used the largest and the smallest bowl from a set like this one <–Affiliate Link) Pour a small amount of water into the bottom of the larger bowl and whisk in any flavour enhancers you want to add. 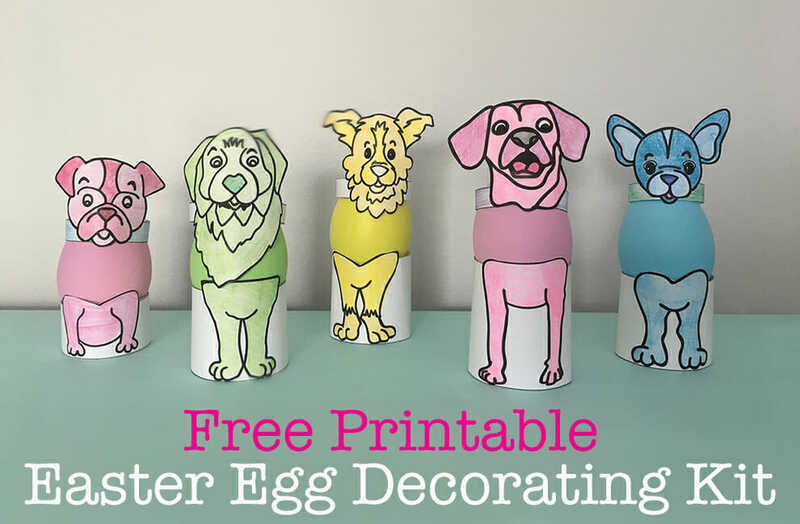 (They look super cool if you throw treats in there!) Place the smaller bowl inside the larger one and use masking tape to ensure the rims stay even. Fill the gap between the bowls with water and freeze overnight. These flavoured ice bowls are a big hit at parties and make a fun “host” gift to bring the resident canine at dog friendly barbeques. Want to get even easier? You don’t have to make these bowl shaped. Fill the bowl half full of water. Add flavour, if desired. Freeze. In the morning, add fresh cold water to fill the rest of the bowl and serve. As much as we love these ice bowls, we know they’re not the best solution for everyone. They take up a ton of room in the freezer and not everyone has space for that. Plus, if your dog is older or they have some iffy teeth, it is possible to crack a tooth on ice. 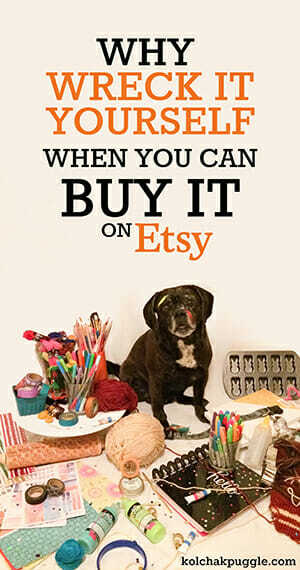 For dogs like that, our next tip might work better. Cool the bowl without giving your dog ice. 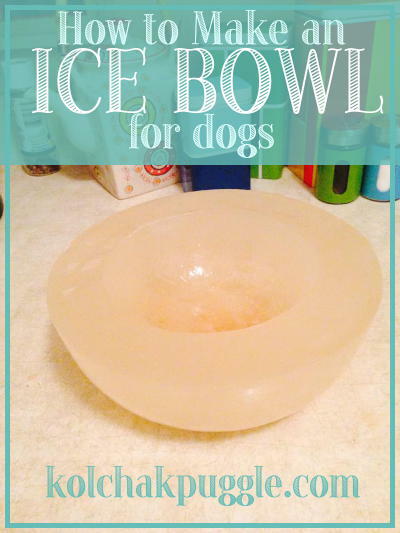 If you’re worried about giving your dog ice to eat, you can still use it to chill the bowl. I found the coolest DIY project over on Pinterest! 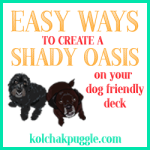 Did you know that you can use a metal mixing bowl and your favourite planter to make an attractive raised bowl for your dog? I know right? I was amazed! I’m searching for the perfect planter to create a bowl for the boys on our deck. The hidden benefit of a bowl like this? 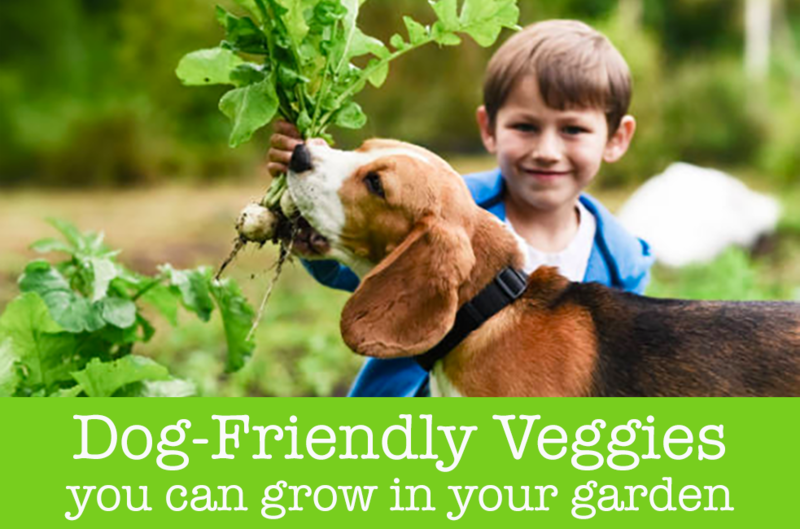 You can grab a bag of ice from the corner store, fill the planter with it, then sit your dog’s bowl on top. It’s perfect if you don’t have the freezer space to make a frozen bowl for your dog or if you don’t want your dog chewing on ice. 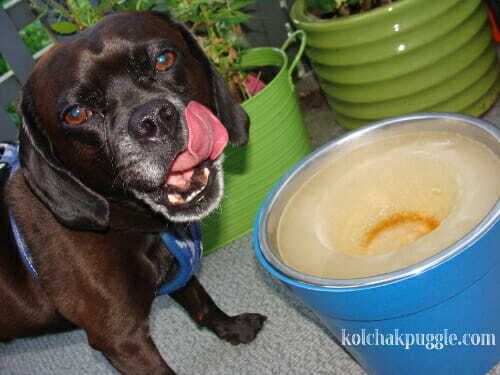 How do you keep your dog’s bowl cool on a hot day? Actually, I continually refill Honey’s bowl because I find she’s a little fussy if there’s anything floating in the bowl. Never mind that it’s usually fur that just fell off her body. 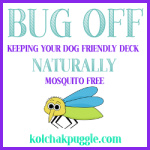 It’s good for the plants to get all the water Honey is too finicky to drink. I absolutely DO have peanut butter broth recipes. 1. you can buy powdered peanut butter (that’s a thing!) You can find it at health stores, work out stores and in some grocery stores or grab it on amazon. Simply whisk a bit into the water. 2. Heat up 6 cups of water to boiling, whisk in 1- 2 tbsp. peanut butter. Cool and serve (or freeze). And I hear you on the fussy part. Felix has to be the first one to drink from a fresh bowl or the bowl is ruined for him. he’s nuts. What great ideas! I especially like the idea of cooling the water by the “raised planter/bowl” idea! Thanks for sharing! It’s so cute! I can’t wait to make mine! I love the ice bowl idea. I am going to try it if our weather in Indiana decides if it is going to be a rainy summer since the month of June we had over 8 inches of rain and it is suppose to rain for the next 3 days!UGH! We had a couple of warm days. The temp now is 68 degrees. Geeee, doesn’t sound like you’re having a very nice summer there! HOpefully it picks up. We used to have one of those, but the gel stuff sprung a leak and I tossed it out. Oh no! Did it happen because the bowl was defective or had it been roughed up a bit by dogs playing with it or by being dropped or something? We like the have Mom keep running out with more cold water solution. With three of us not real small dogs, one bowl full doesn’t last all that long. We tried the ice thing, but only Bailie was a real fan and she made a huge mess with it. Great idea though if Bailie is not at your home! LOL, puppies like to make big messes a lot. Maybe it will be different when she grows up a bit. Making these for our cookout tomorrow night. Perfect timing for a brilliant idea!! Yay! I hope the boys love them! OMD! I love the planter idea, that is genius! Why don’t I ever think of these things?! It’s such a cute simple idea for a raised bowl, right? I love it too! Very cool ideas! We don’t worry about keeping our dogs’ bowl cool on a hot day – on a hot day it doesn’t stay full for very long, so every new refill is cool. But I love your ideas. 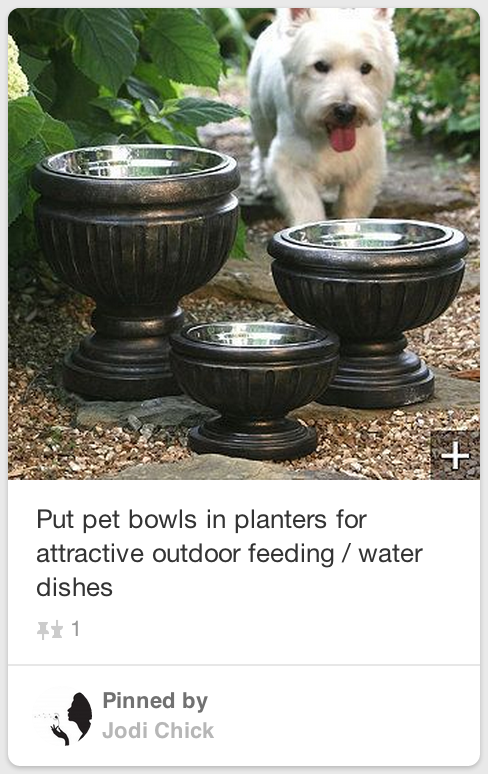 Maybe I’m just weird, but I think the planter/bowls would look good inside as well as outside…but that’s just me.